* This section is intended for healthcare professionals and students. Get access to our Resource area. Download Nutrition related documents. Copyright © 2014 SEA PHN. 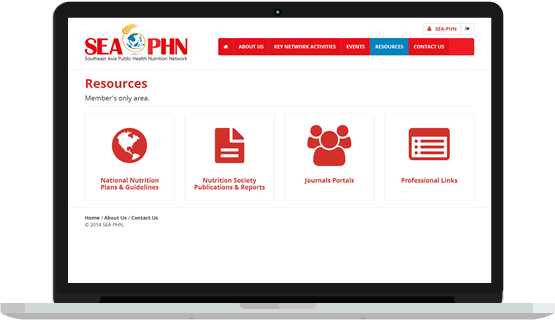 The Southeast Asia Public Health Nutrition (SEA-PHN) Network is a partnership of key stakeholders in the region, namely nutrition societies, government agencies and corporate companies, dedicated to promoting public health nutrition among the population and alleviating nutrition problems in the region.